Metal Inert Gas (MIG) welding is where an electric arc is created between a consumable electrode and the item being fabricated. This creates heat causing the consumable and the fabricated metal to melt and join together. This method is quite a fast process compared to other welding techniques and is therefore generally the cheaper option. Tungsten Inert Gas (TIG) welding uses a tungsten electrode to produce the weld and does not always require a consumable wire. This method provides a cleaner appearance and a stronger weld. However, due to the skill level required to achieve a high quality weld, it is a slower process and therefor is more expensive. This is a rapid welding technique where thin sheets can be held together. The equipment uses two copper electrode ‘spots’ which pass current through the two joining pieces and melts them together in a localised point around 5mm across. This method is ideal when joining thin sheets together ‘face-to-face’ (i.e tabbed corners) and the welding of the corner seam is not critical. After stainless steel has been welded it can be dark in colour due to the heat. We are equipped with a weld-brush set which uses phosphoric acid (one of the safer acids) to remove this staining and return the stainless back to its original colour. Other welds may also be dressed off where appearance is critical to appear seamless or a smooth radius rather than joined pieces of metal. 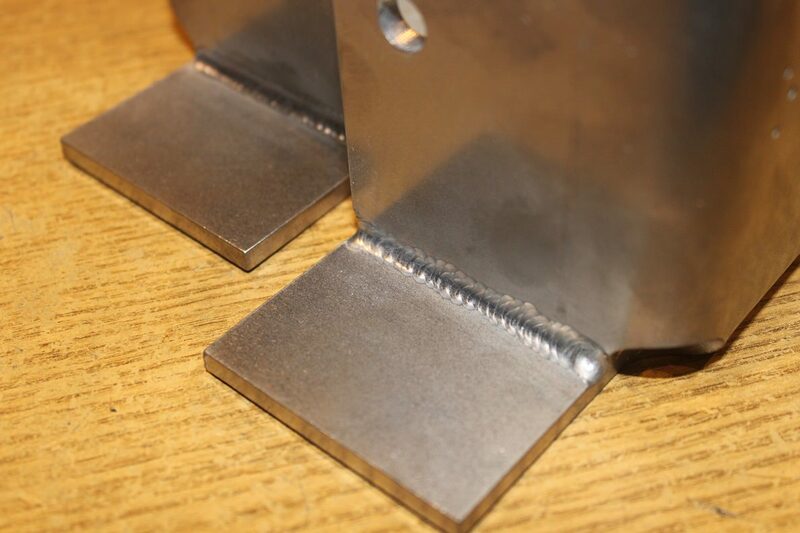 This is easily achieved in most cases, however caution should be taken with Aluminium as the strength is in the weld. If the weld is fully dressed in Aluminium, it may reduce the integrity of the join. At Yorkshire Profiles we are equipped and skilled for all these types of fabrication methods. Contact us today to discuss your metalworking needs.